Best served with fettuccini or spaghetti – makes a quick light meal or hearty entree. It can be varied to suit – for a nuttier sauce, omit the parsley. 1. Place the walnuts, parsley and breadcrumbs in a food processor and chop until finely ground. Add oil, cheese and seasoning and blend until dough consistency. Add more oil if needed. 2. Place in saucepan and stir in milk to liquefy. Heat slowly adding more milk if necessary and serve with pasta. 3. 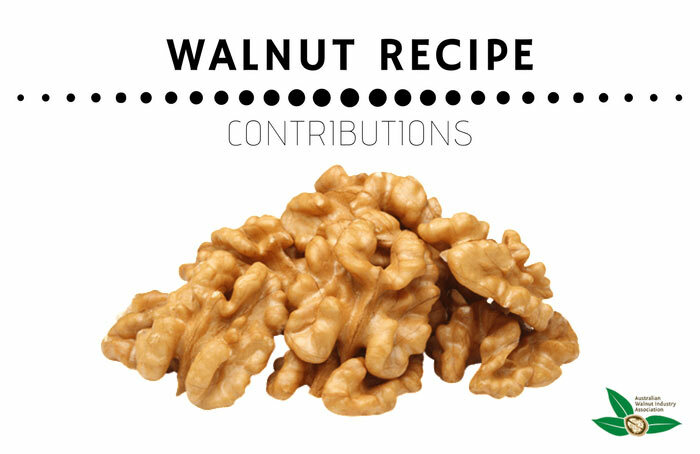 Garnish with a sprinkling of chopped walnuts and parsley. Serves 4. Recipe courtesy of Jen Wilkinson Australian Nutgrower, magazine.